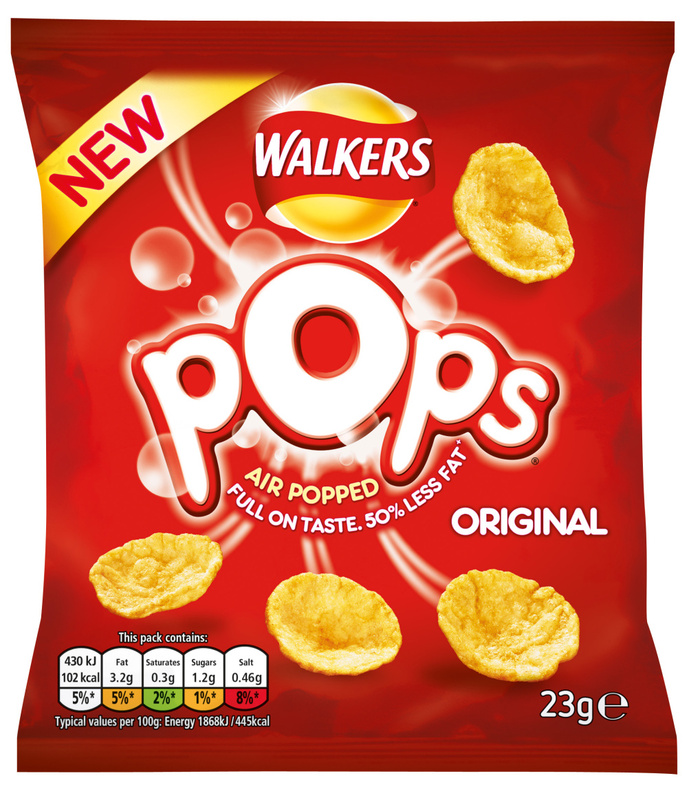 Spanish consultancy Morillas has created the packaging for Walkers Pops, a new line from the snack brand that claims to contain half the fat of its other crisp products. 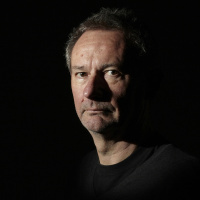 Paula Chateau, client partner at Barcelona-based Morillas, says, ‘The key issue was to develop a new entity that would encapsulate the step-change in the category. 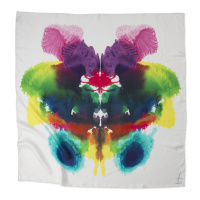 These aren’t baked or fried, they’re made with hot air, so we had to reflect that in the identity and concept. ‘The look had to explain the health approach, but that it wasn’t compromising taste’. The pack designs aim to ‘encapsulate the idea of fun’, according to Chateau, with a look reflecting the idea of an explosion. 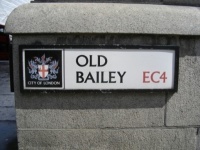 A white and red ‘pops’ word-mark emphasising the ‘O’ was created, with typography created to look as though the letters have been inflated. 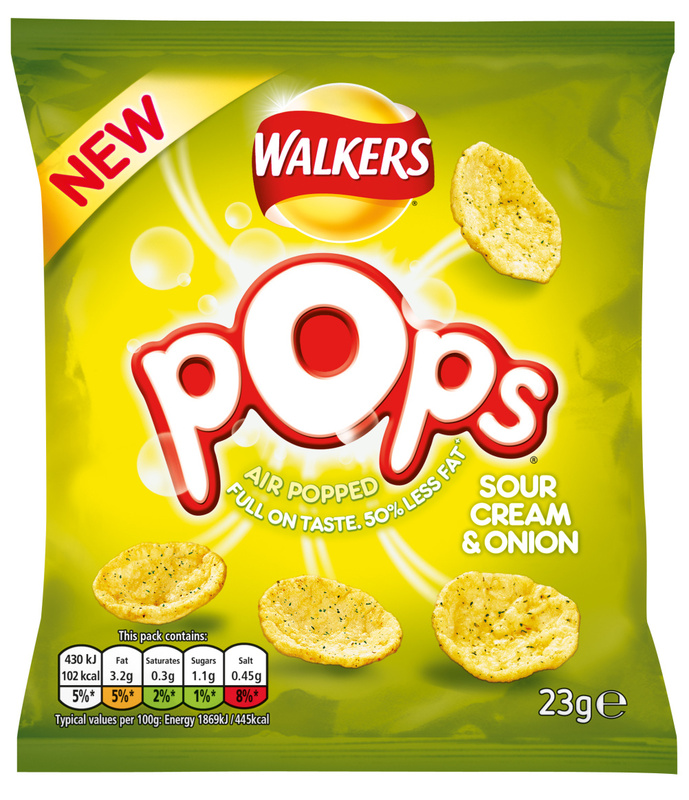 A bubble motif is used in the centre of the pack, alongside product imagery to show the snacks, which are ‘air-popped’ rather than fried to cut fat content. Different colours are used to distinguish the four flavours in the range: Original; Sour Cream & Onion; Melted Cheese & Crispy Bacon; and Prawn Cocktail. These colours broadly reflect those used for standard Walkers crisps, such as red for Original and green for Sour Cream & Onion. 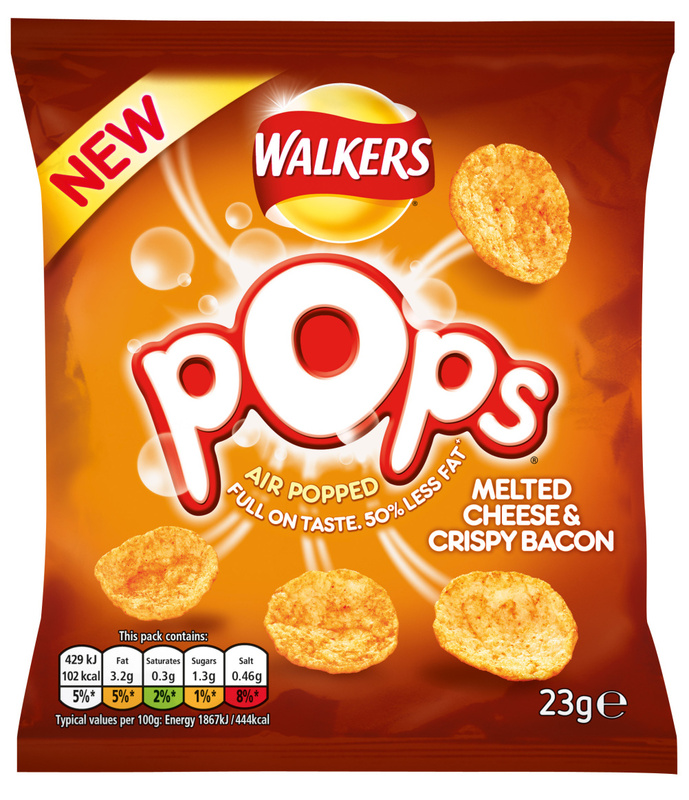 The Walkers Pop range goes on sale in March, with Original, Sour Cream and Onion, Melted Cheese & Crispy Bacon and Prawn Cocktail sold in multipacks of six, single bags in Original and Melted Cheese & Crispy Bacon.